Here are a few examples of what might be called Earth's "zero-sum" dilemma in the 21st century. A study released Monday shows for the first time that more than 16,000 desalination plants scattered across the globe produce more briny toxic sludge than fresh water. For every litre of fresh water extracted, a litre-and-a-half of salty, chemical-laden sludge called brine is dumped—in most cases—into the ocean. That's enough to cover the state of Florida in a 30-centimetre (one-foot) layer of slime. "Desalination technology has benefited a large number of people," said co-author Manzoor Qadir, a researcher at the UN University. "But we cannot ignore the production of brine, which is going to become an even greater problem in the future." The 1987 Montreal Protocol banned industrial chemicals dissolving stratospheric ozone, which protects us from the Sun's dangerous ultraviolet rays. To replace the forbidden molecules, used in aerosols and refrigerants, scientists invented a new category known as HFCs. But there was a small problem that didn't emerge until much later: the substitutes—while harmless to the ozone layer—were dangerous greenhouse gases, thousands of times more potent than carbon dioxide or methane. That meant a new, protracted round of negotiations over an amendment calling for the phase of HFCs, which was finally adopted in 2016. The rise in oil prices in the 1970s, and later the looming threat of climate change, boosted the production of biofuels made from corn, sugarcane and palm oil. It seemed like a great idea: planet-warming CO2 released into the atmosphere when the biofuels were burned would be partially offset by the CO2 absorbed while the plants were growing. But the solution became a problem it its own right. The energy needed to transform and transport plant-based fuels undercuts their original purpose. To make matters worse, the newly emerging market created a perverse incentive to cut down tropical forests—far more efficient at soaking up CO2—to make way for sugarcane and palm oil trees. When it comes to climate change, projections for how humanity can cap global warming under two degrees Celsius (3.6 degrees Fahrenheit) assume a major role for biofuels. But recently scientists have calculated that an area up to twice the size of India would be needed to cultivate them, which may not leave enough land to grow food. 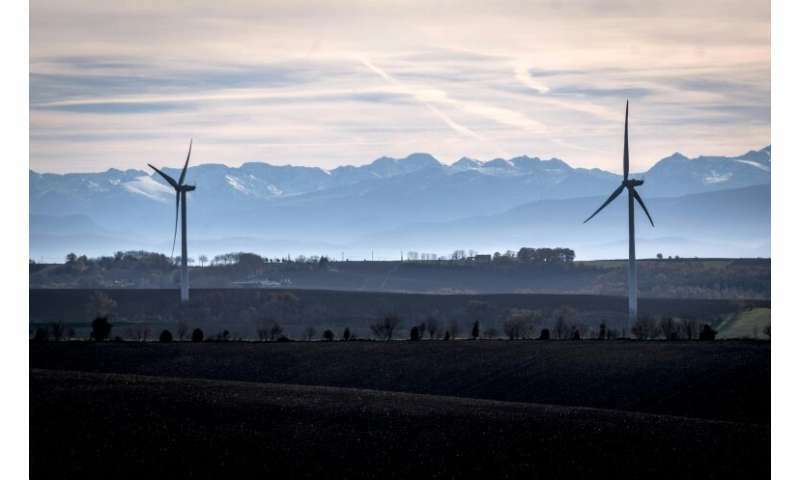 There are some 350,000 wind turbines scattered across the globe producing more than 500 gigawatts of clean, green energy and supplying four percent of global electricity demand. But wind farms are also bird killers: up to 328,000 birds—especially those that fly at night—are felled every year by fast-spinning blades in the United States alone, where there are some 50,000 turbines. They also disrupt ecosystems. A scientific study of wind farms in the Western Ghats, a UNESCO-listed range of mountains and forest spanning India's west coast, found that predatory raptor birds were four times rarer than in adjacent areas. Their absence cascaded down the food chain and radically altered the density and behaviour of the birds' prey. There was, in particular, an explosion in the raptors' favourite meal: fan-throated lizards. Photovoltaic solar panels—which absorb sunlight to generate electricity—have a dirty little secret, according to French investigative journalist Guillaume Pitron. The fastest growing renewable energy source includes critical metals and minerals that require a lot of energy to extract and often leave a trail of environmental devastation in their wake. Wandering the world to research his book "The Rare Metals War", Pitron said he saw mountains in southern China "cut in half vertically," and "toxic lakes" in Inner Mongolia.